I have to admit, when I first planned a stay in Bozeman, MT, I wasn't expecting much. But, stopping here made sense for travel time in the car during our month-long, 5,100-mile journey. Boy, was I completely taken back at all that Bozeman had to offer. 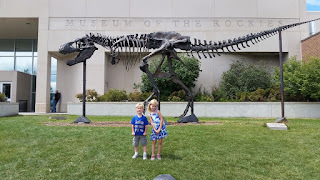 Our first stop in Bozeman was the Museum of the Rockies. 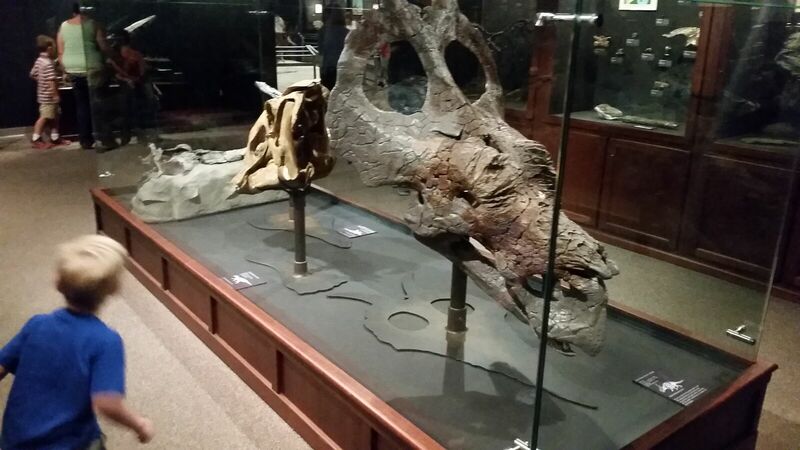 T-Rex exhibit was a hit! 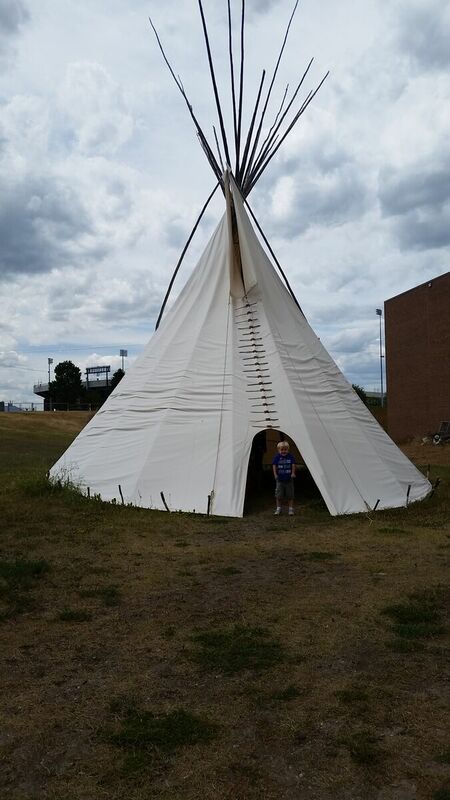 The museum is easy to find, just off of I-90 and across from the university. The kids and I enjoyed a picnic lunch in the parking lot underneath one of their many trees before we began our self-guided journey through the indoor dinosaur exhibits. 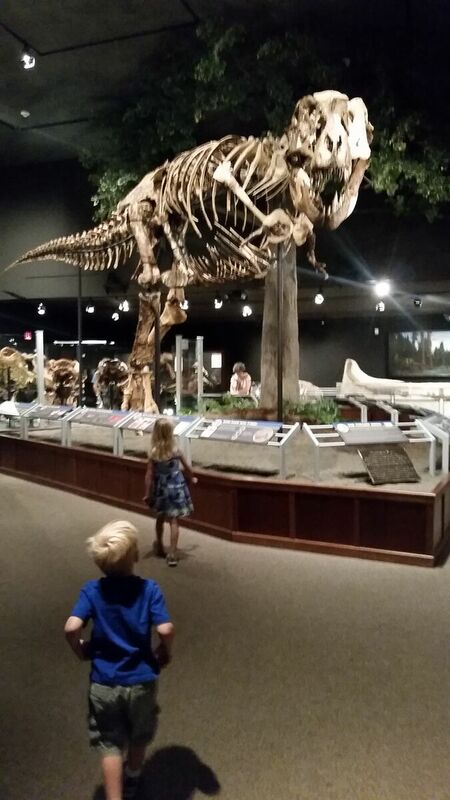 Because my children already love PBS's Dinosaur Train, they were familiar with many of the dinosaurs on exhibit. The T-Rex in the center of the exhibits was by far their favorite, but they also enjoyed seeing the Triceratops "families" and other dinosaur exhibits. As we journeyed through the museum, we became our own version of explorers...seeking out answers for what happened to the dinosaurs. After traveling through the cacao exhibit, one of my children decided that the dinosaurs ate too much chocolate and got belly aches. Perhaps! The best part of our stop at the Museum of the Rockies was the interactive, outdoor Living History Farm showcasing what life in Montana was like during the 1800s. Families can help make cakes and whipped cream using hand mixers, watch as the blacksmith works, see how to pump an old-fashioned sewing machine with your feet, and even sit in an out-house (by far my 3-year-old boy's favorite). You could also pump water at the outdoor garden and see what families were able to grow and enjoy in their gardens. 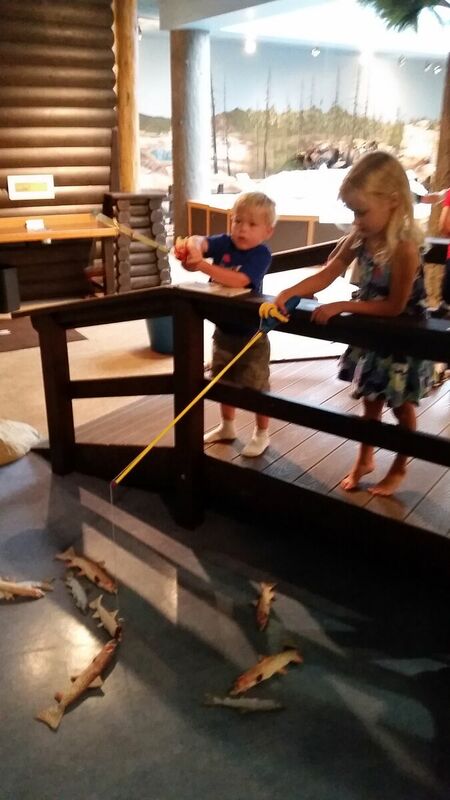 This museum is a must-see for all families visiting Bozeman. 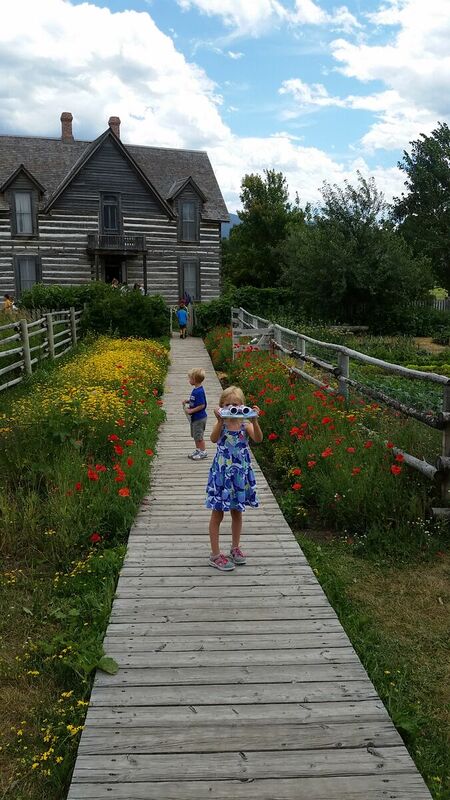 Don't forget to stop by the gift shop and get your very own binoculars so that your children can search for dinosaurs and other wildlife as you journey throughout Montana, possibly even through nearby Yellowstone. I love you through the "I hate you's"